It’s time to say farewell to Clos Pepe Winery. The 2014 vintage is still in the barrel but once it is bottled and sold, we will not see a Clos Pepe label, at least for 15 years. 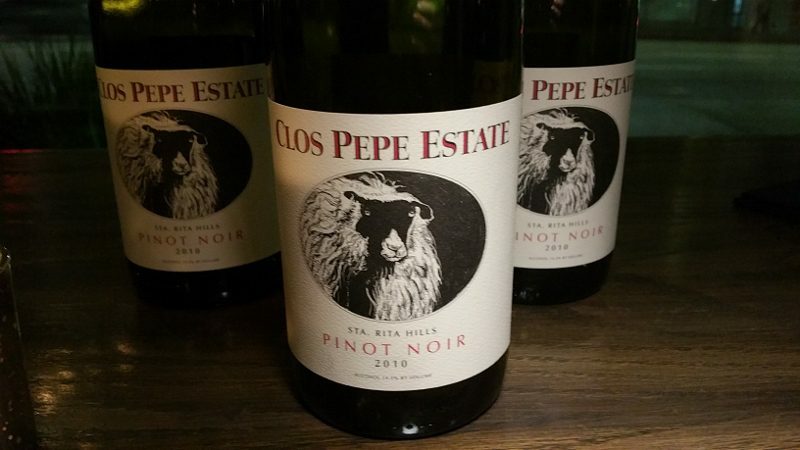 For the past 21 years, Clos Pepe, located in the Santa Rita Hills near Lompoc, has established itself as one of the top pinot noir vineyards in the New World. But owners Steve and Cathy Pepe have decided that it is time for an official retirement. While they still own and live on the property, they have leased the Clos Pepe Vineyards to Hall/Walt Wines of St. Helena for the next 15 years. Winemaker Wes Hagen hosted his final winemaker dinner in Los Angeles at the downtown restaurant Faith & Flower. It was a bittersweet evening as we enjoyed a vertical tasting of the pinot noirs during dinner, sharing the joy and pleasure of good wine, good food and good conversation but also realizing that this was the final dinner for a brand we love. This entry was posted in Lifestyle, Wine and tagged Clos Pepe, Clos Pepe Estate, Clos Pepe Vineyard, Hall Wines, Napa Valley Register, Sta Rita Hills, Walt Wines, Wes Hagen by Allison Levine.